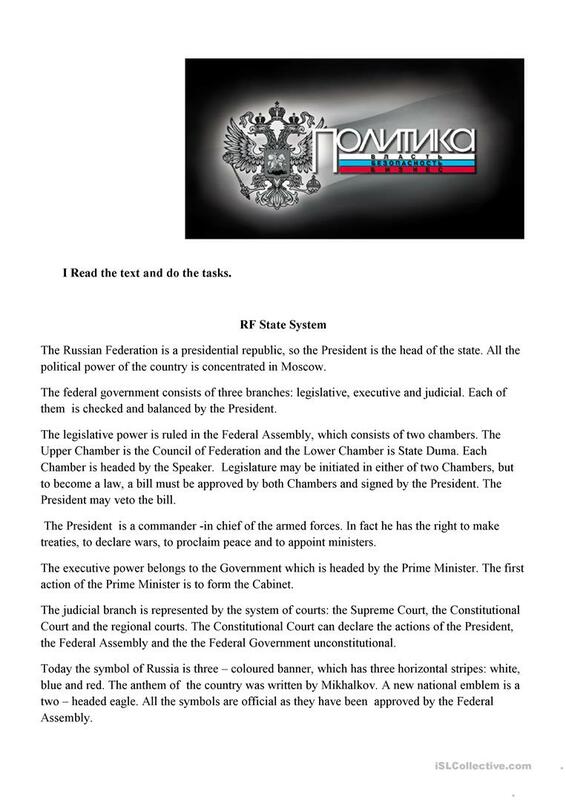 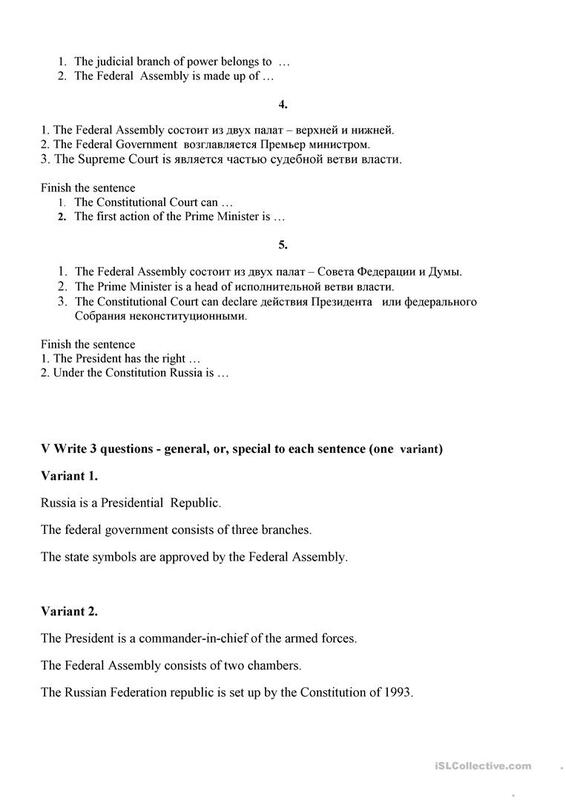 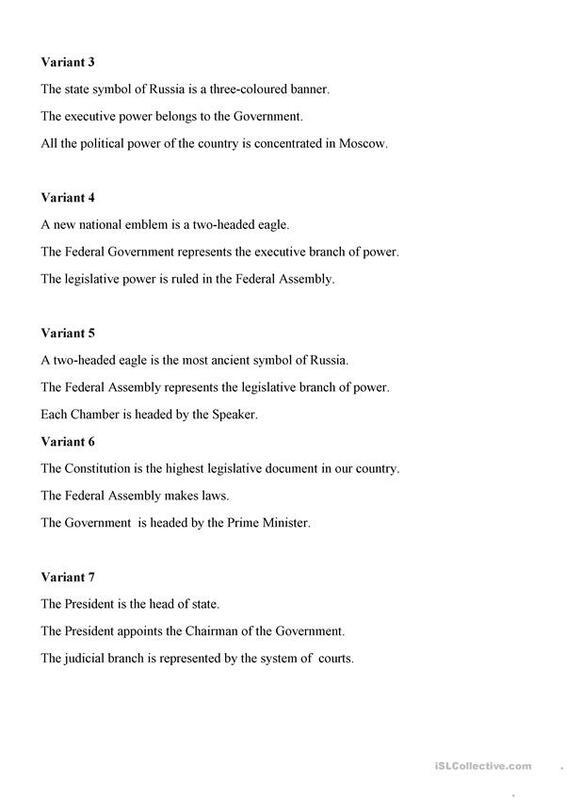 Oral Topic "The state system of Russian Federation" with various exercises to consolidate the new words and expressions. 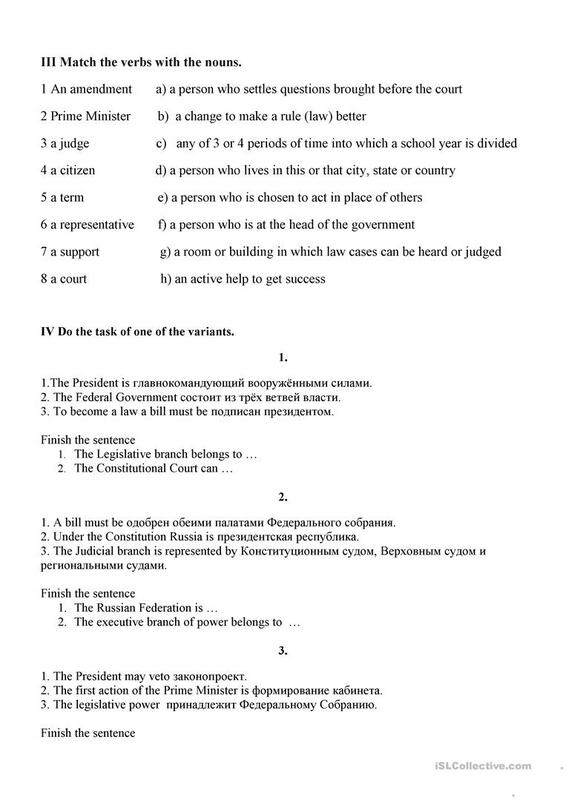 This downloadable worksheet is intended for business/professional students, high school students and elementary school students at Pre-intermediate (A2), Intermediate (B1), Upper-intermediate (B2) and Advanced (C1) level.  It is great for revising Passive voice or active voice in English, and is excellent for working on your class' Listening, Speaking, Reading and Writing skills. 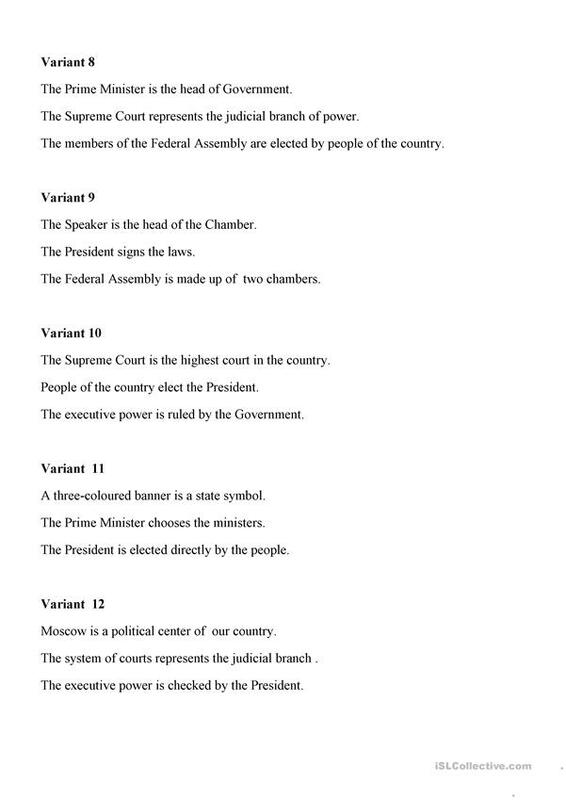 It features the theme of Countries.